One of the outstanding things about the Unogwaja Challenge is not just the feat that the 12 riders conclude, but its the work that the each member of the support crew do. From someone like Danielle who hosts the website, to the Lewin sisters who have done more than any to build the Unogwaja spirit to a man who is full of heart, the brilliant Altesh Baijoo. 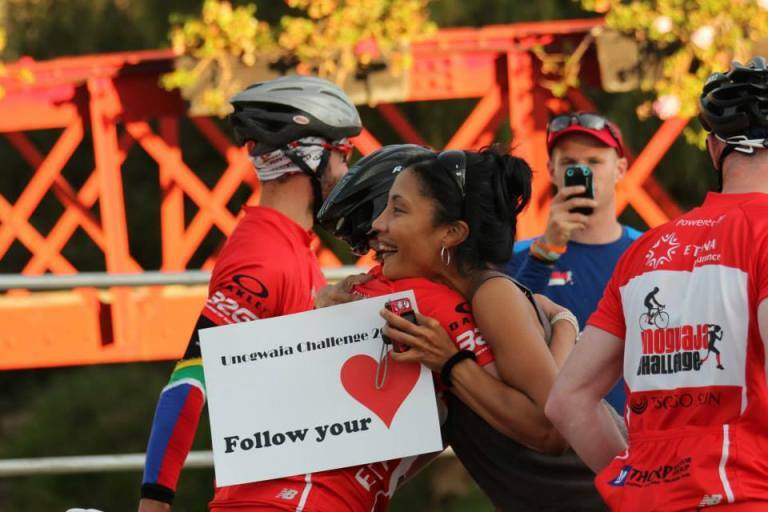 Altesh is in charge of the social media machine behind the Unogwaja challenge and is travelling along on the journey. He has also shared some inspirational words with followers and I wanted to share some of them here with you. We are the people that rule the world – perhaps a dangerous statement? Undoubtedly! Because there is enough evidence to suggest that we should be cautious about being overconfident in leaving human fate in the hands of people. Just take a look at the 20th century alone – it was a century plagued by war, indifference and greed. But then when we take a moment to reflect we will note that although there has indeed been war, indifference and greed – the 20th century was also set alight by the triumph of the human spirit, by creativity and by forgiveness – led by a small group of individuals who dared to dream of changing the world, dared to set the world alight with a spirit of possibility. When we focus on the latter – the results go beyond our wildest imaginations. On this journey we are getting so many opportunities to see, actually to live, and share in the optimism of people – inspired by the spirit of possibility. We are able to look into the eyes of young and old, eyes shining bright with hope. I have loved every second, sometimes just seconds, of connecting with people to experience this almost alternate reality. What we play, is life! 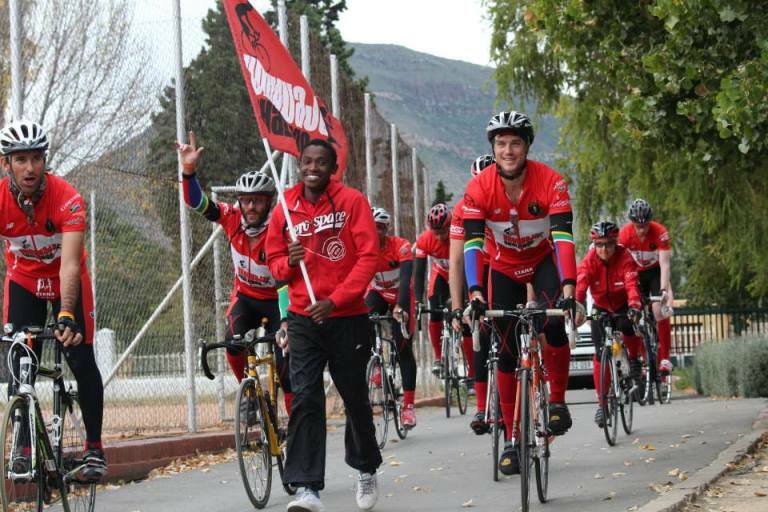 The spirit of Unogwaja is about a group of people from around the world coming together to achieve that which is greater than any individual, and the start of Unogwaja 2013 has exemplified this spirit in every way. The heart of this community beats strong, inspired by the “boy who left St John’s Orphanage at the age of 18 in 1930 to run what was then inaugurated as the Comrades Marathon. Phil had come second to the mighty Wally Hayward in his first marathon, won it at 19 and two years later had cycled up to the event and ended up 10th – thereby winning a gold medal. And so the legend of Unogwaja, the Zulu word for ‘hare’ was bornThe Spirit of Unogwaja is about a group of people from around the world up 10th – thereby winning a gold medal. And so the legend of Unogwaja, the Zulu word for ‘hare’ was born. We were reminded by Keith Richardson in his speech at the Unogwaja Opening Dinner that “this story may well have remained a bye-line in the history books if two Second World War soldiers had not made a pact to remember their fallen comrades by wearing Red Socks every Friday once the war was over. One of them was a “Grey Old Boy” who appeared at their Founders’ Day Ceremony at his old school every year wearing red socks. 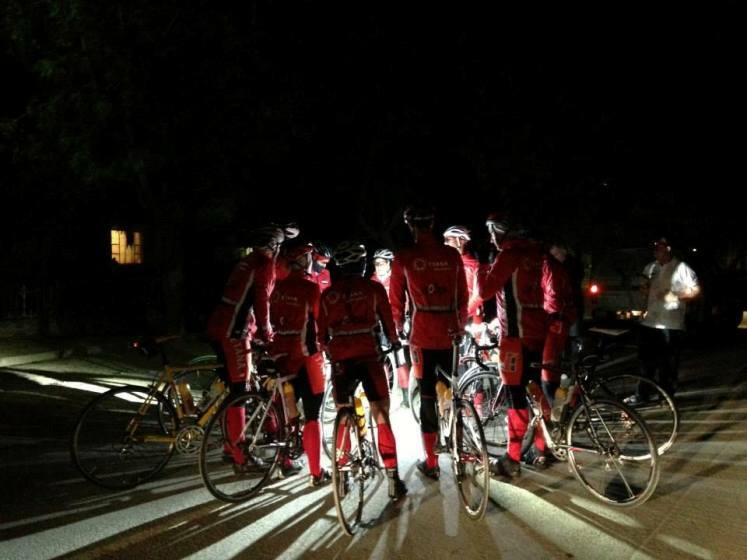 On the eightieth anniversary of Phil Masterton Smith’s cycle and run, a team of gladiators will emulate his journey, stirring in each of us the courage to go out into the world to achieve the impossible, thereby giving people around the world a different view of the world, a uniting view – limited only by our imaginations! This stirring has attracted people from far and wide as well as from various walks of life – building an ever-growing community that is decidedly showing people new possibilities as a result of embracing life. #AllHeart is an expression that best describes the energy that is radiated by this community and one cannot help but to be awestruck! There are no “tame lions” to be found here, only a fierceness to know what lies beyond the current fallacy to the question: what is human potential? These gladiators demolish this misheld belief, with a courage and resilience that is present in all of us. Their actions are not awe-inspiring because we think that we cannot do the same, we are inspired because we too know deep down that we have a similar light, the ability to reach the unchartered corners of our beating hearts so that we too can take center stage in this play we call life. Ride with them, run with them, heck do both … but first look into your own heart and know that it beats for a greater purpose , a purpose that connects each and every one of us. Know that you too have the courage to face your fears be they of stagnation, of not reaching your potential, of being forgotten, of being passed up, of going softly into that good night, of letting those you love down, of giving in to “that’s just the way it is” mindset, of – and dare I say it – dying without leaving your mark! Know these as your fears and limitations and then setout to defy them – this for me is what these 12 brave souls are setting out to do! To borrow from Mr Keith Richardson who inspired my words: “Everyone who has embarked on this enormous challenge must surely understand and appreciate this sentiment.” If you are reading this or have said a prayer or hold a thought for the team in your mind or have shared your message with us, either in person or via social media – please know that you too are part of this journey, so welcome Unogwaja and enjoy the ride. To be more inspired by Altesh and his views, subscribe to the newsletter on the website follow the Unogwaja on Twitter and Facebook.